Today I'm excited to introduce you to my new weekend getaway... my home away from home... my sweet little humble abode in the woods... The Travelux Pearl. I literally sigh just saying those words out loud, I am SO excited! Three weeks ago we drove 2,000 km to pick this little pretty up and I've been smitten ever since. 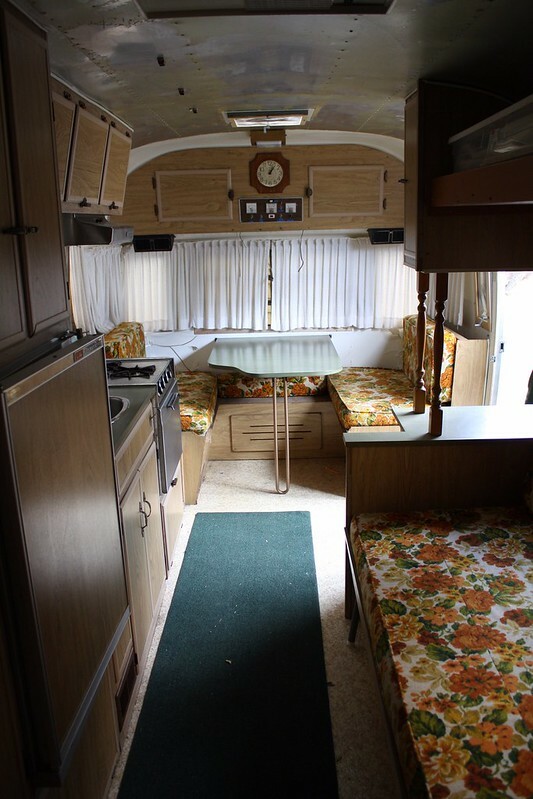 It's a 1972 ninteen foot Travelux trailer (the Canadian version of an Airstream). The previous owner named this trailer 'the Beast' which seemed far from fitting for it's tiny silver stature. 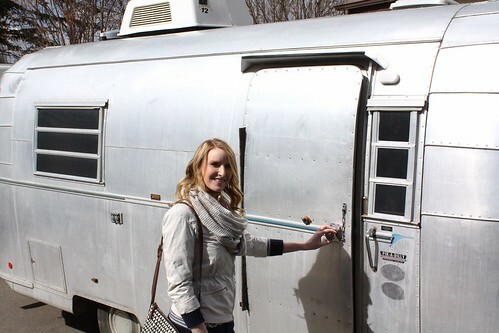 The instant the keys were ours, we renamed her the 'Travelux Pearl' to emphasize the true rarity of this trailer. We've spent the last few weeks plotting and planning our trailer reno, and she's gonna get a total overhaul (we're talking GLAMper status people). While my hubby is busy wielding the woodworking tools, I've been writing out a sewing hit list (what you didn't think this post would be fabric/crafting free did you?!). I've got a deadline of July 23rd to finish these projects so I better get a move on stat. If anyone has any glamper, camping or upholstery tips I am all ears! I'm jumping into the deep end with this one. I am SO JEALOUS! She's gorgeous! 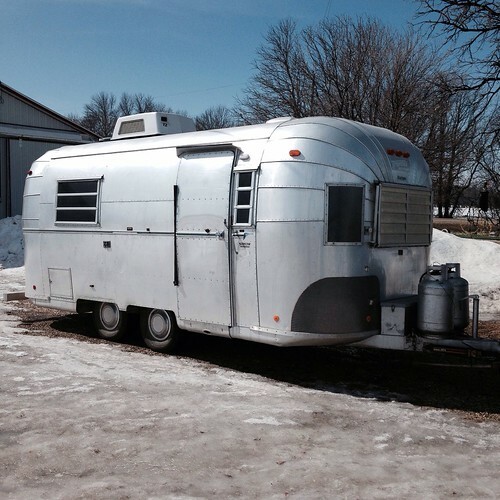 My Mr. and I have dreams of an airstream some day. And of course I'd glamp it up, so I'm super excited to see what you do with yours! Ahh, I am also crazy jealous!! It is a beauty! I hope you'll be posting pics of the work you do! LOVE IT! We have a 13' Boler for camping- which is just a tad too small! How exciting! We have the same exact trailer except ours is a 1973 and 20' long. Same exact interior. We bought it last year and have just gutted it due to floor rot. We're on Air forums as Travelux 20 so check us out! That's going to be such a fun project!! Good luck! You lucky duck!! You have no idea how bad i want one of these! Can't wait to see what you guys do with it! And your constellation quilt is going to be perfect for this!! Can't wait to see more of that as well. Ahhh! This is seriously my dream! I can't wait to see the work you do. It's going to be such a blast!